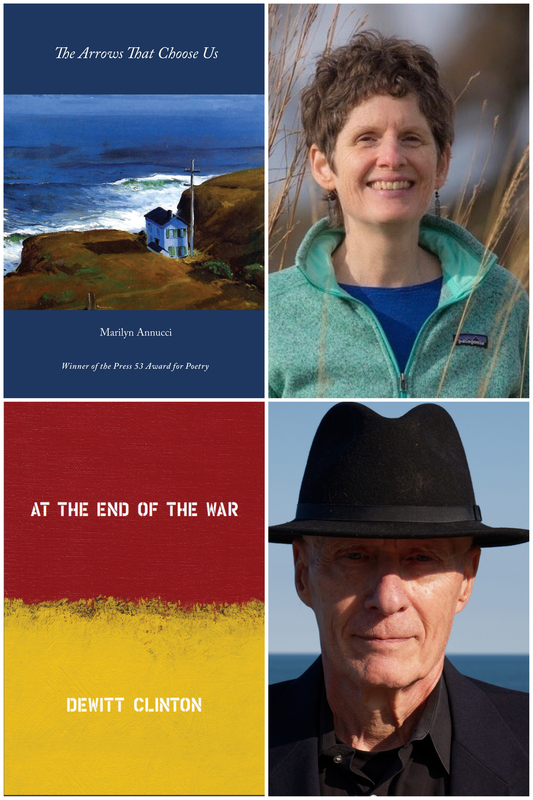 A Room of One's Own is excited to welcome two brilliant Wisconsin poets: Marilyn Annucci, author of The Arrows That Choose Us, and DeWitt Clinton, author of At the End of the War! or disappointment, reminding us how "the arrows that choose us" never fail "to tear us awake." DeWitt Clinton’s poems in At the End of the War layer ancient, sacred ritual and texts with contemporary life and language. Clinton’s chiseled poems bespeak a consciousness trying to come to terms with history, specifically the horrific atrocities of WWII and the Holocaust. There’s a communal “we” in many of the poems of a people searching for an identity, a marginalized culture trying to define and reinvent itself on the historical stage. At the End of the War offers a poetic coming to terms with history, a Taoist way to emerge on the other side of atrocities—and speaks poetically for the self and contemporary society.